What are the best Windows XP antivirus solutions to use in 2019? Windows XP was released to manufacturing on August 24, 2001, and was supported by Microsoft until April 8, 2014. Over the course of those twelve years, the operating system became widely adopted, and to this day still holds over 5% of the desktop market share according to NetMarketShare. If you happen to be apart of that 5.66% percent of Internet users that are on Windows XP, finding a good third-party antivirus should be a high priority, especially since the operating system has gone unsupported for over three years now. But before that, you should make sure you are as up to date as possible. In this case, Service Pack 3 (SP3) is the most recent major set of patches that Microsoft released for the OS, coming out on April 21, 2008. If you’re already on SP3, then you’re ready to look at some of your antivirus options. AV-TEST did most of the hard work for us right after Microsoft’s support for the operating system ended, taking a look at 23 different antivirus offerings from around the Internet. Surprisingly, Microsoft’s own Windows Defender ranked dead last in protection. So, while being extremely easy to use and even coming from the creator of the OS, Windows Defender will actually not defend you against much of anything, especially on a machine that hasn’t seen a major update in almost 10 years. We’ll skip over many of the other lackluster options as they simply aren’t worth your time and skip straight to the top five. 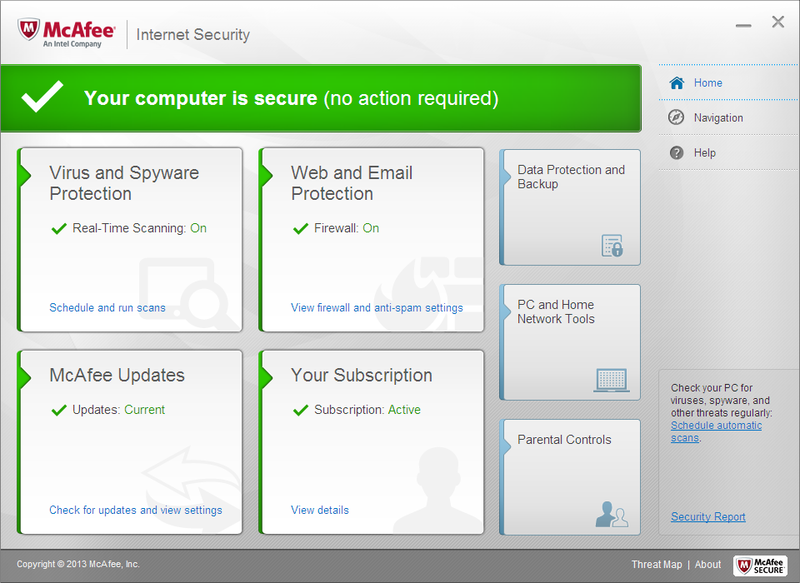 Panda Security Cloud Antivirus Free has its price in its name, which turns out to be one of its lesser selling points. This virus protection tool for Windows XP SP2 and up has a slick looking UI that might look too modern compared to the gradients of old XP along with top-notch protection and no noticeable performance hit. Unfortunately, Panda Cloud Free has given a few false-positive warnings in the past. This helped keep it out of the top spot. Panda‘s offering differs from many of its competitors by running scans in the cloud, meaning users will not have to deal with daily update. Its great protection scores also mean that despite the cloud nature of the program, it will still keep you protected. In fact, since Panda‘s antivirus software does run in the cloud, it always keeps itself up to date instead of nagging the user to download update files one or more times per day. This ability to keep virus definitions up to date with no user interaction or knowledge just means better protection and more up-to-date protection for you without sacrificing the performance of your own system. Unfortunately, Panda Cloud Free has given a few false-positive warnings in the past. This helped keep it out of the top spot. However, Panda remains a good antivirus. If the free version doesn’t have enough features, we suggest you to buy the paid version (now at 50% off on Panda‘s official webpage). 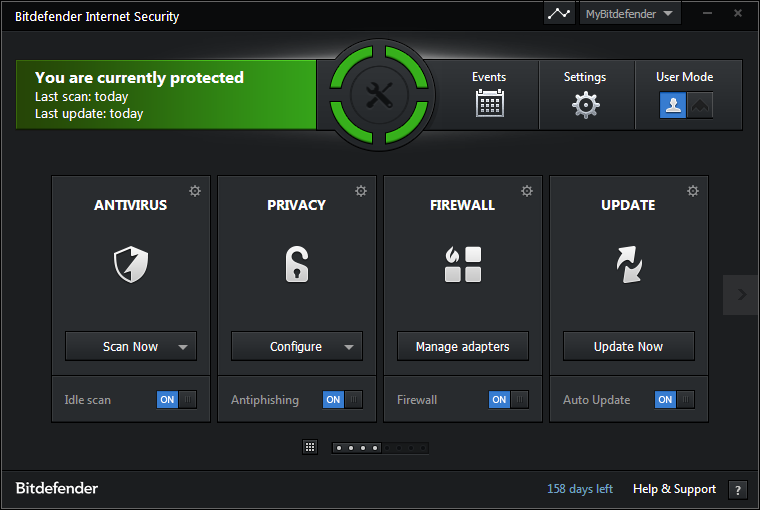 Bullguard is a trialware antivirus option that looks clean and has a great protection rating. In fact, it might be a little too over-protective, having the tendency to throw false positives that can get in the way of legitimate activities. In addition to file scanning, Bullguard also brings a spam filter to your local email client as well as traffic scanning for when you are browsing the web. These automated protection schemes couple with the 24/7 support make this antivirus a solid choice for the budget conscious, costing just $29.95. Kaspersky Lab has had a great reputation for a while now, and they will certainly not be a bad choice to secure your Windows XP SP3 machine from viruses. With similar scores given from AV-TEST, Kaspersky‘s reputation along with low system requirements helped bump it up to the number two spot. Not taxing a computer too much to keep it protected is a big deal for Windows XP machines since many of them are underpowered. Kaspersky only requires an 800MHz processor, 512MB of available RAM and a minuscule 480MB of disk space, giving room to breathe on most machines, especially older Windows XP 32-bit ones that tend to have 1GB of RAM and slower processors. 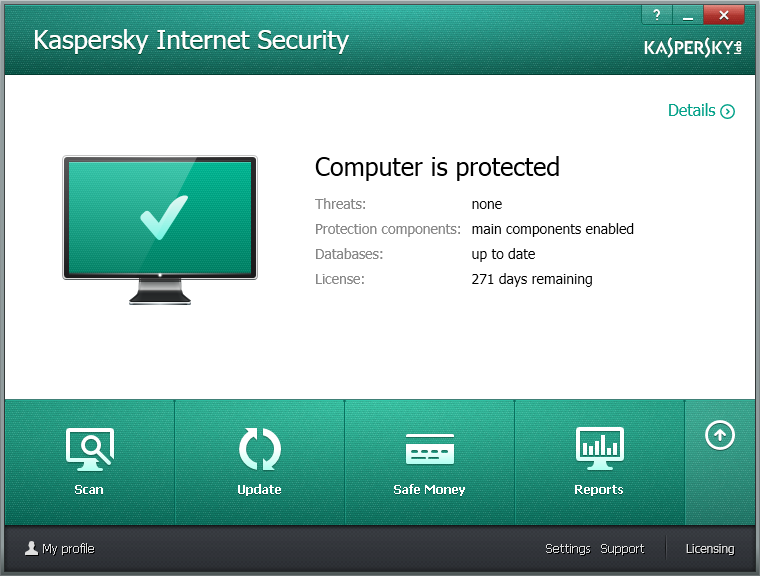 Kaspersky‘s full offering does cost $59.99, but those looking for extra features apart from virus and malware protection such as automated backups might want to consider it. Despite the troubles that the company has been going through, McAfee is still a decent choice for antivirus on Windows XP SP3 in 2018. It offers great protection but does sacrifice a little on performance, which might be a drawback if you are using your computer for resource intensive activities such as gaming or photo editing. It comes in both free and paid versions that sport a familiar card-based UI that we’ve come to expect from most antivirus applications. The $44.99 cost of the paid version is a little more than Bullguard‘s, but many users have found the extra protection and lower amount of false positives worth it. Taking the cake is Bitdefender, which takes virus protection very seriously and gives users an all-in-one package at both free and paid levels with its Internet Security software. Your Windows XP installation could not be in better hands than Bitdefender Internet Security with its perfect scores from AV-TEST and its top virus detection rate for the past 6 years running. These perfect scores come thanks to a simple UI along with a combination of cloud scanning and behavioral analysis. This allows Bitdefender to stop known and unknown attacks from infecting your computer. It also allows for continuous updates to keep you protected in real-time against not just viruses, but malware and malicious links like some of the ones passed around social media sites as well. Coming in at only $39.99, $15 less than McAfee, Bitdefender comes in packing a lot of value in a very fair price tag making it the best antivirus for Windows XP service pack 3 to use in 2018. 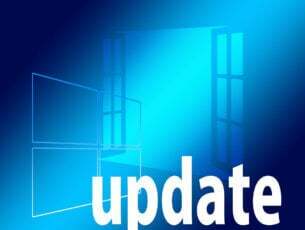 Important Update: Our readers have reported that Bitdefender no longer supports Windows XP since the summer of 2018. Some virus protection is better than none, but AV-TEST’s statistics have shown that not all Windows XP service pack 3 antivirus options are created equal. This is especially true in 2018 with Bitdefender being a clear choice. However, any of these top five antivirus options for Windows XP would make good choices in 2018. There are even a couple of fully free choices for the budget conscious. Keep in mind that the number of malware and virus attacks are growing by the day. Moreover, hackers love to exploit security vulnerabilities on old operating systems. So, if you want to protect your Windows XP device and make it bulet-proof against the latest cyber threats, do install one of the antivirus solutions listed above. 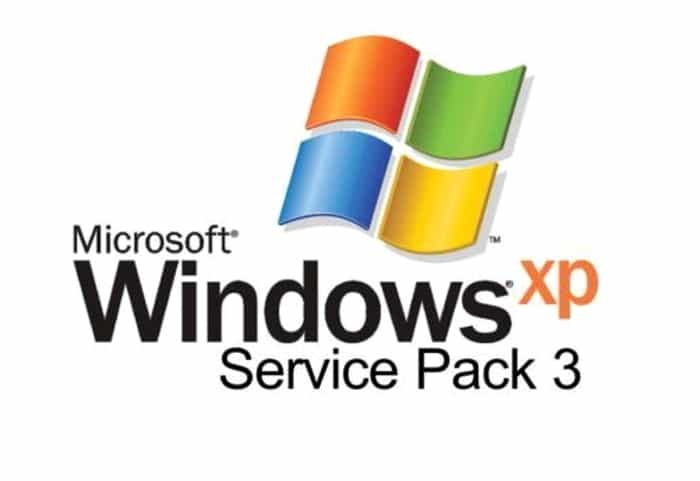 If you have any recommendations for protection an installation of Windows XP Service Pack 3, please let us know in the comments!